As a physician, I have seen the tremendous capabilities of nurses-capabilities that are essential to meeting patient needs. But to ensure that they maximize their contributions to health and health care, nurses will need advanced skills and expertise in care management, interdisciplinary teamwork, problem solving, and more. This makes higher levels of education imperative. In addition, having a larger pool of highly educated nurses will be necessary to expand the ranks of nurse faculty, addressing the shortfall that now causes nursing schools to turn away thousands of qualified applicants each year. These advanced degree nurses are also needed to help ameliorate the worsening primary care shortage. 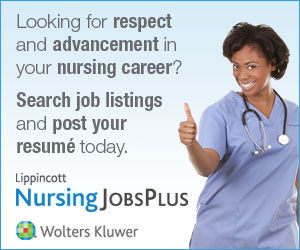 For numerous reasons, employers will benefit from advancing levels of nurse education as well. For one, the advent of value-based payment systems will place an even greater imperative on having a highly trained health care workforce. As payers increasingly focus on hospital readmission rates, nurse-sensitive quality measures, and care coordination, nurses' performance will be even more critical to the bottom line. More BSN-prepared nurses will mean a bigger cadre of nurses prepared to fully participate in interdisciplinary care teams and to take on leadership roles at the staff and executive levels in a transformed health care system. In a recent survey conducted by AONE,2 51% of nurse leaders said their organizations preferentially hire BSN nurses, although just 32% pay BSN nurses more at the time of hire. Lack of access to BSN nurses and lack of support from organizational leaders were cited as the top barriers to such policies. Ninety-three percent of survey respondents noted that their institutions offer tuition benefits to support associate's degree-to-BSN advancement. Around the country, educational institutions are finding creative ways of encouraging and facilitating progression to BSN and higher-level degrees. For example, the Oregon Consortium for Nursing Education has created a shared curriculum across 8 community colleges and the Oregon Health & Science University School of Nursing, which enables students to complete BSN coursework without leaving their home community. Graduates are trained in clinical judgment, patient-centered care, systems thinking, leadership, and evidence-based practice. In New Mexico, leaders will discard 24 separate curricula in favor of a uniform nursing curriculum and a shared faculty pool. The state is also developing plans to turn community colleges into institutions granting 4-year degrees. Florida is developing RN-to-BSN educational models, including community college transition to state college programs and community college transition to state university regional partnerships. Colorado is developing such partnerships as well. These are shining examples of the evolution that needs to occur nationwide. To meet our nation's health care needs, we must strengthen the nursing profession at all levels, from the front lines to the executive ranks. That is precisely why we partnered with the IOM to develop the report and why we are actively engaged in facilitating its implementation through the Future of Nursing: Campaign for Action. Tackling the barriers to educational progression requires a multifaceted approach. Far from being solvable with a single action or within a single arena, realizing full-scale change will take the commitment of many in health care, education, business, and other sectors. A key component of our effort is working with national stakeholders through the Center to Champion Nursing in America, an initiative of the AARP, the AARP Foundation, and the Robert Wood Johnson Foundation. Because nursing is so critical to improving health care, it is a priority for our foundation and one to which we have devoted more than $300 million over the last 10 years. At the Robert Wood Johnson Foundation, the IOM report is our blueprint for transforming the nursing profession to help ensure that all patients receive the care they need and deserve. We will continue to address its recommendations-and encourage many others to do the same-to fully realize the Campaign for Action's vision: a nation where all have access to high-quality, patient-centered care in a health care system in which nurses contribute as essential partners in achieving success.